I have been meaning to start a blog for a long time and finally got the push I needed when @vanessakimbell started the idea of Random Bakes of Kindness #RBOKindness. It is so simple but such a lovely idea. I couldn't wait to give it a go. Basically you bake a few extra goodies and give them to someone deserving. 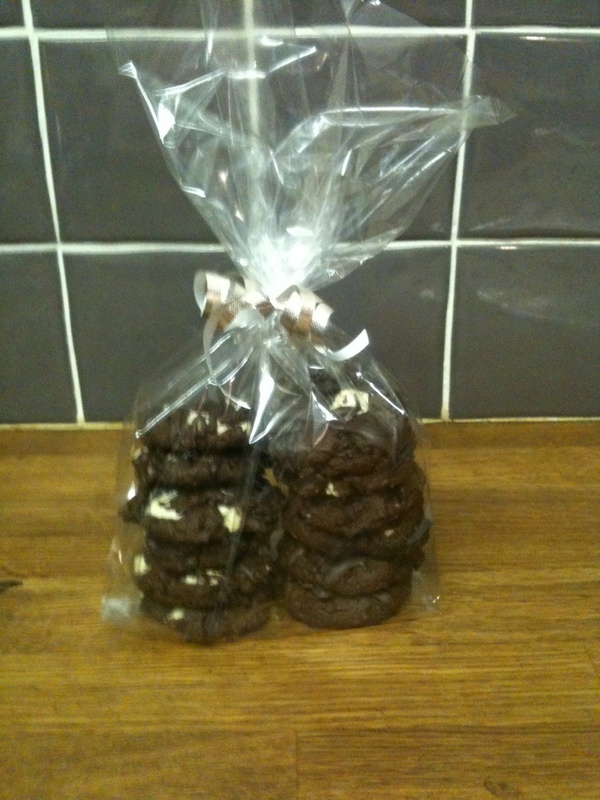 Last night I was making some triple chocolate cookies so I decided to make extra, parcel them up and give them to a friend of a friend who is going through a tough time at the moment. Well worth the small extra effort needed to put a smile on someones face! I don't seem to be able to attach a photo to this post on my phone so for now will put the photo on twitter @skitchendiary. She seemed really pleased :) I'm loving it as well. Keep thinking of new ideas! 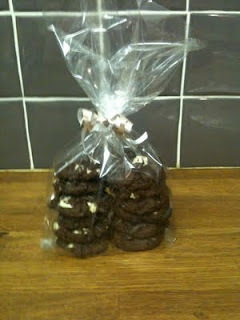 The cookies look delicious - I love how you have wrapped them. Thanks, I buy the bags from Lakeland and just tie them with normal present ribbon. They're so useful for all sorts of homemade gifts!